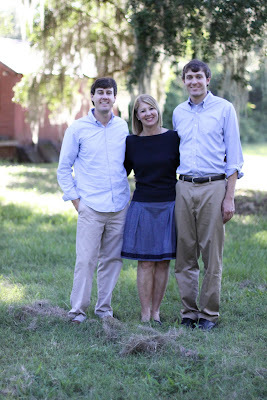 Tupelo Honey: Happy Mother's Day! 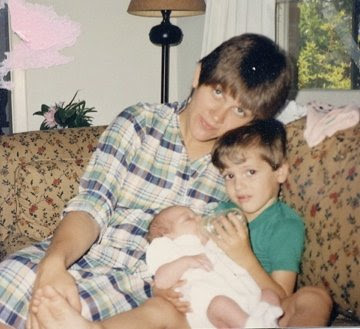 Happy Mother's Day to all of the moms out there, and especially to my wonderful Momma. I love her very much, and hope that one day I can be as good a mom as she is. The day I came home from the hospital. 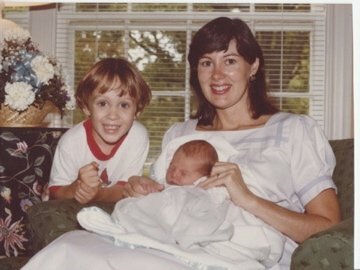 Matt looks very thrilled to have a new baby sister. My mom likes to dodge the camera as much as possible, so this is the most recent picture I have of the two of us, which was from last summer. 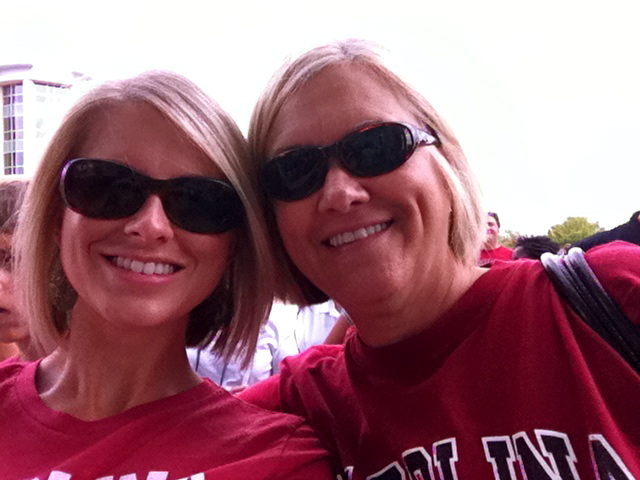 Also, Happy Mother's Day to my mother-in-law, Sally! She's the best mother-in-law you could ask for. And a few summers ago all grown up. I've already been to church and brunch with my mom, and plan on heading to her house this afternoon for dinner. I hope you all get to spend time with your moms, and if not, I'm sure a long phone call will do! I'm your newest follower! I found you through a picture of your cute library on interest. I plan on organizing my classroom library over the summer.